When you travel with Discover the World Education, you will receive a tailored service where our travel specialists will work with you to understand the needs of your students and create a bespoke trip with the itinerary, accommodation and excursions that suit your group and their budget. 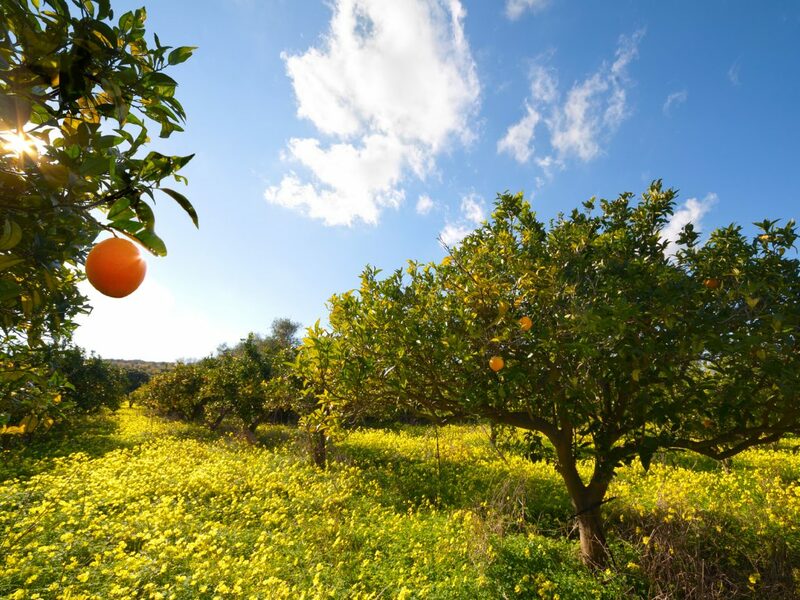 The example itinerary for Sicily below is a typical example of a popular trip schedule. Talk to one of our specialists to start creating your own unique itinerary today. 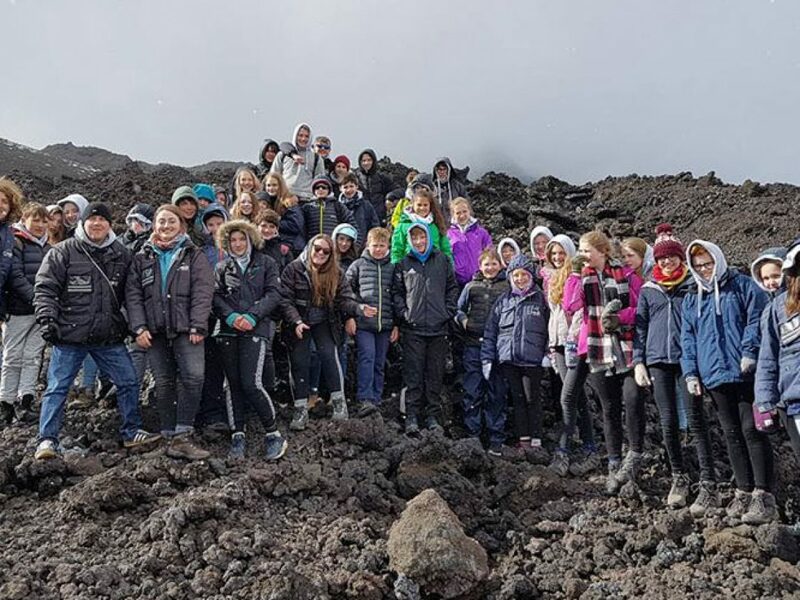 We have a free collection of geography resources for your classroom called ‘Living in the Shadow of Italy’s Volcanoes’. This award-winning resource includes a video and classroom activities. 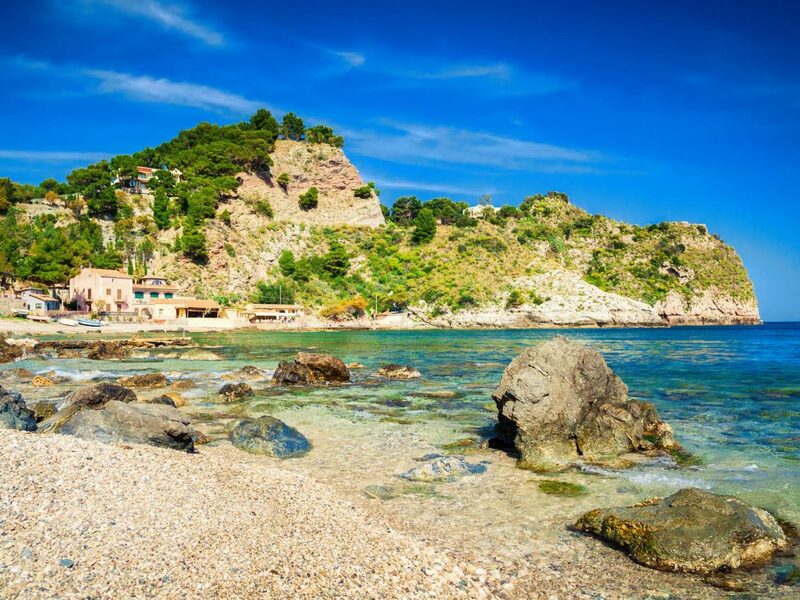 When you arrive on Day 1 you will head straight to your accommodation for an evening meal and depending on your flight time you may also have time for a first trip to the beach. Travel part way by cable car before boarding 4×4 vehicles to reach the summit of Mount Etna. 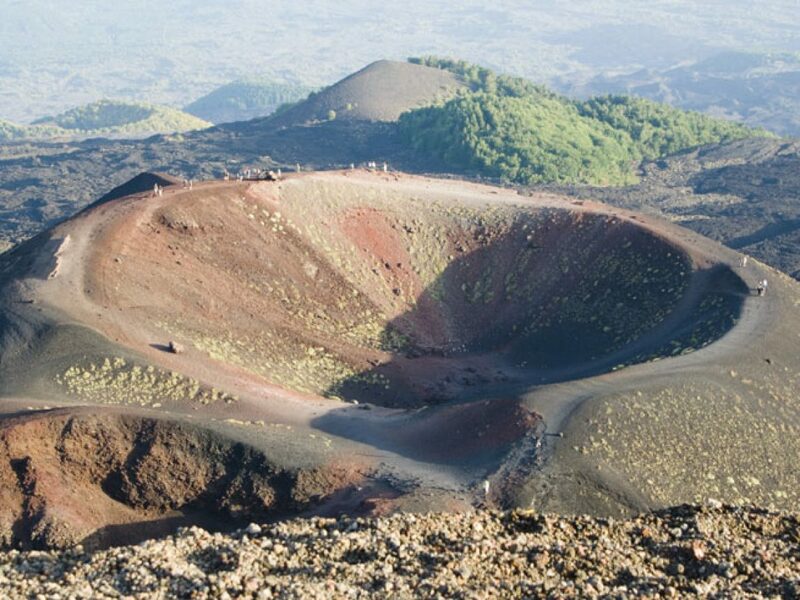 Experience an active volcano on an informative tour from your alpine guide as you walk around the crater rim. Delve into the spectacular lava caves at Zafferana before visiting the modern and interactive Museo dell’Etna where you will learn more about how the volcano behaves. 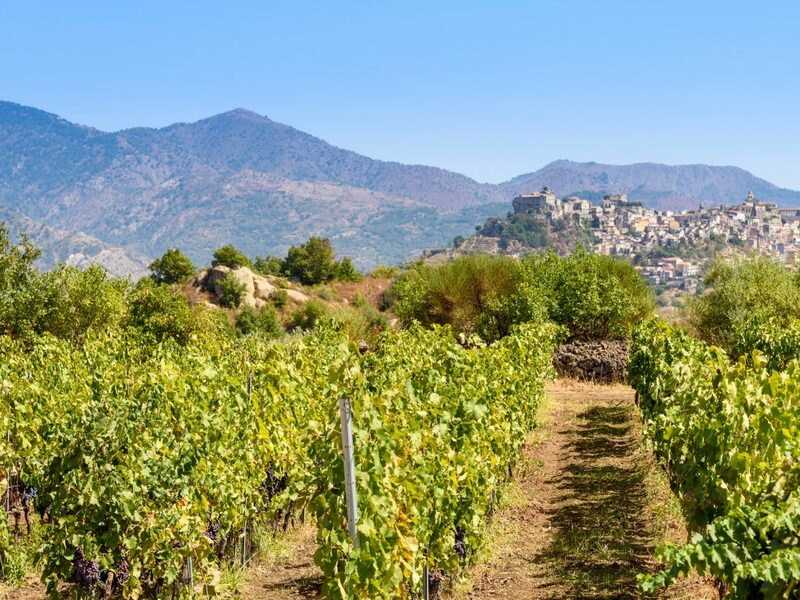 Gaze at Mount Etna in the distance from Taormina as you stand in the ancient amphitheatre or stroll in Piazza IX Aprile. 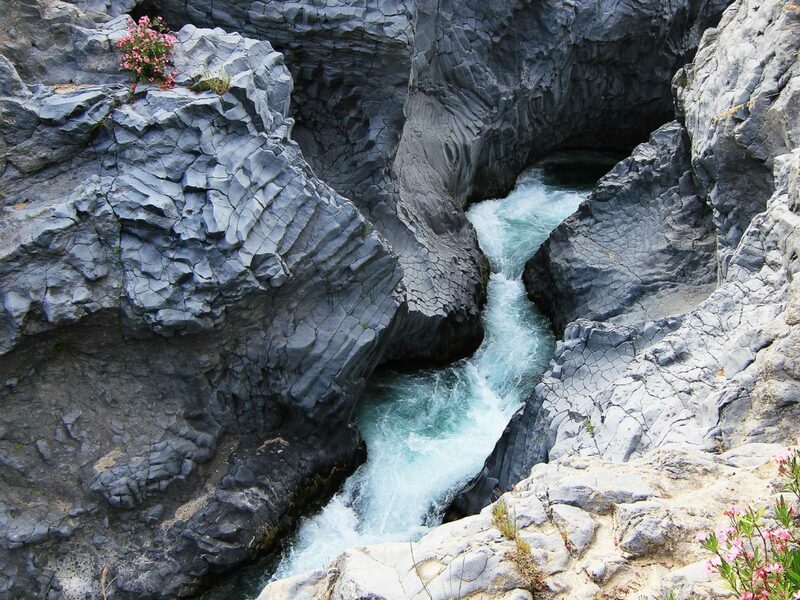 Admire the geological and geographical case study of Alcantara Gorge, which is lined with black columnar basalt walls, surrounded by extremely fertile farmland. Try your hand at river tubing or river trekking or, in high water, try Hydro speed, where students use large flotation device and flippers, accompanied by guides and a safety support team to explore the rapids and pools of the river. Take a boat to the Island of Vulcano. Ancient Romans believed that Vulcano was the chimney to the workshop of the god Vulcanus, and that the island had grown due to his periodic clearing of cinders and ashes from his forge. 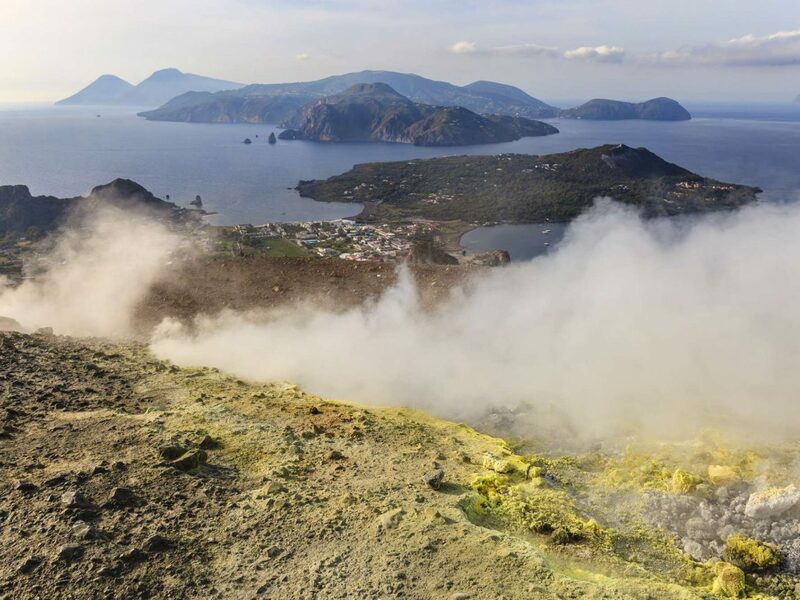 Hop aboard a boat around the island and a guided trek to the Gran Cratere will showcase the dramatic scenery of vast peaks and craters, active fumaroles and warm mud baths. Begin in the hilltop city of Acireale where you can visit the impressive baroque cathedral in the main square, before descending down a winding road to the beach. 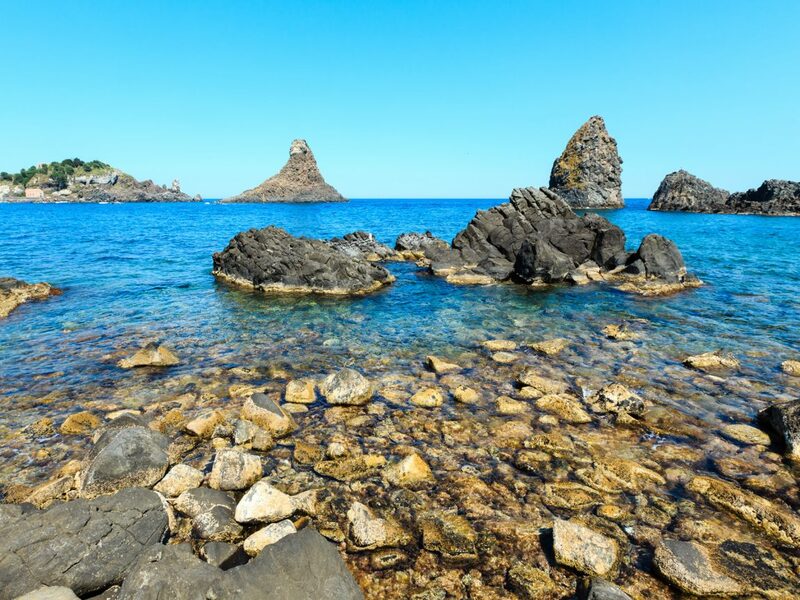 Continue to the volcanic coastline near Aci Trezza and Aci Castello, the highlights of which are the hexagonal basalt columns and lava stacks located just offshore which pre-date Etna and inspired the story of Polyphemus the cyclops and Odysseus in Homer’s Odyssey.